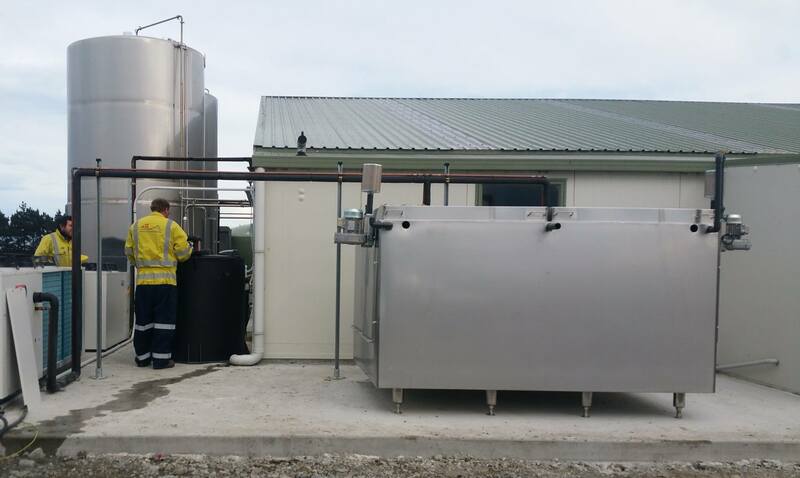 Our largest Ice Builder, model PIB-230, installed to date (see earlier post) was commissioned in South Canterbury last week by ATR Refrigeration and another very impressed and happy farmer! With 11,000 Liters of milk snap-chilled in the afternoon milking from 32.8degC to 0.2DegC before entering the vat who wouldn't be - and zero risk of freezing the milk using 0degC water! The PIB-230 is our 2nd to largest model Ice Builder producing a whopping 2,500kg of Ice and 5,200 liters of Ice Water. Commissioned in the morning and a full load of Ice made over only 5hrs. 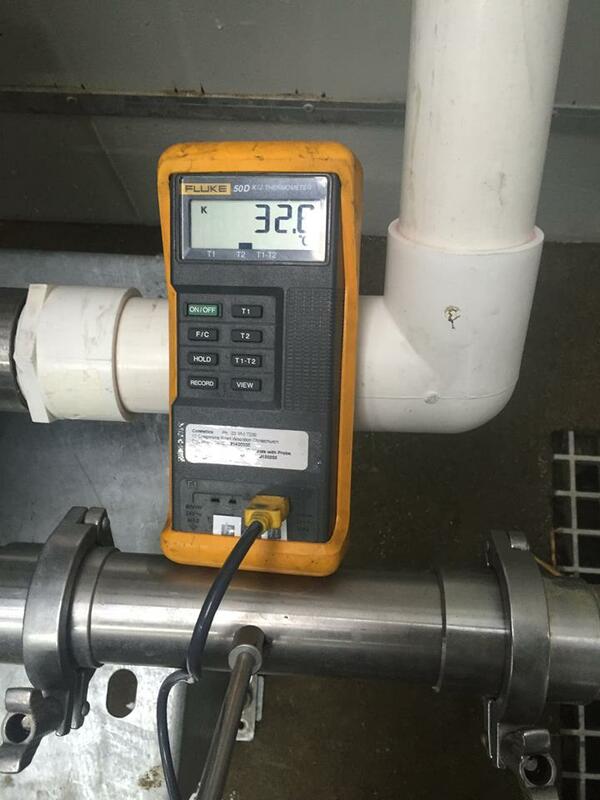 The vat refrigeration was not required during the afternoon milking. 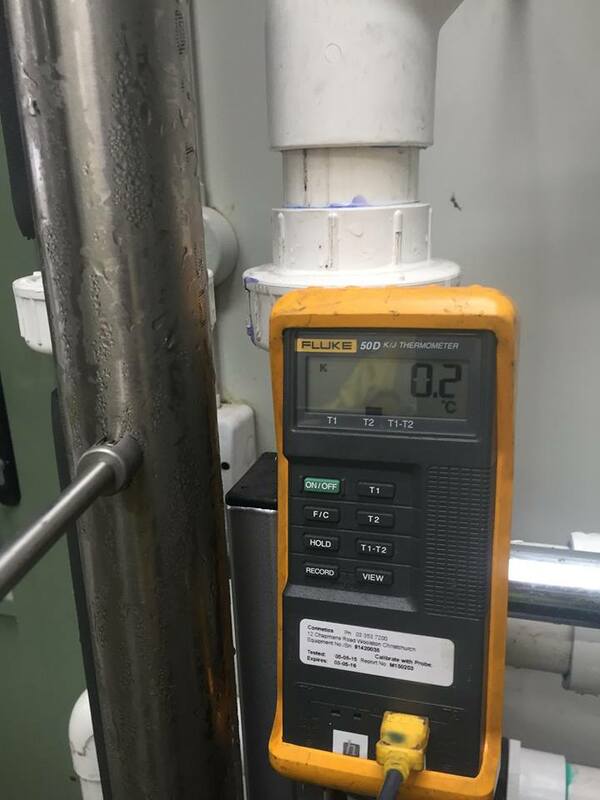 The first photo shows the milk temperature entering the Plate Heat Exchanger at 32.8degC and the second photo the temperature of the milk leaving the PHE to the tank. Andy & Robbie from ATR hard at work installing the Packo PIB-230 - another great job guys!